Have you recently received the joyous news that you’re pregnant? Congratulations! Now’s the time to make the lifestyle changes necessary to ensure you have a happy, healthy baby. When you’re pregnant, nutrition takes on a whole new importance. Instead of eating for one, you’re now sharing your nutrients with your unborn baby. For this reason, it’s critical to make the right food choices and understand what foods to avoid during pregnancy for the health of your baby. In addition to knowing what not to eat, it’s important to practice safe food handling and storage since bacterial contamination of food can affect both your health and the health of your developing child. Even if you’ve frequented sushi bars for years, give it a break until your child is born. Although seafood is a rich source of omega 3 fatty acids which are thought to promote healthy brain development in the unborn fetus, sushi is uncooked fish. This means it can be a potential source of harmful bacteria and parasites. Some fish used in sushi are known to be high in mercury levels which can have harmful effects on an unborn baby’s developing nervous system. Although consuming seafood during pregnancy can have positive benefits for your unborn baby, it’s important to only eat fish known to be low in mercury as well as fish that has been well cooked. In general smaller fish tend to have the lowest mercury levels and larger, older fish the highest. Some good choices are catfish, shrimp, and salmon. Even these fish should be restricted to two meals per week during pregnancy. Raw shellfish should also be avoided. Dairy products such as milk, yogurt, and cheese are an important source of vitamins and minerals such as calcium which are critical to the development of the fetus. When you’re pregnant, you should consume only dairy products that have been pasteurized. This reduces the risk of exposure to potentially harmful bacteria. Unpasteurized milk can be a source of pathogen known as Listeria which can cause miscarriage or fetal death. Make sure all dairy products you purchase are clearly marked as pasteurized. Eggs are an excellent source of protein but should always be eaten cooked. 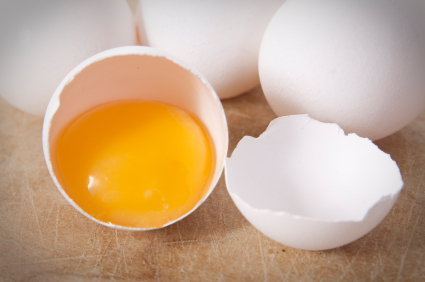 Raw eggs are a known source for Salmonella, a bacteria that causes food borne illness. Keep in mind that many food products contain eggs in some form including mayonnaise and various sauces and dressings. Vegetables form an important part of any diet and are a rich source of vitamins and minerals for the developing fetus. Before eating raw vegetables, it’s important to wash them thoroughly under cool running water to remove any potential bacteria or pesticides that might be present on the surface. If possible, peel any fruits and vegetables to remove the skins which may harbor bacteria or pesticide residues. One vegetable that’s best avoided during pregnancy are sprouts since they’ve linked to salmonella outbreaks. Cooked vegetables of all types are an important staple of a pregnant women’s diet. Eat them with every meal. Alcohol is a substance to be completely avoided during pregnancy. Unborn fetuses exposed to alcohol are subject to a host of medical problems including deformed bones, joint problems, low body weight, learning disabilities, visual problems, organ deformities, as well as a host of other abnormalities. Even if you drank alcohol before becoming pregnant, it’s important to stop for the sake of your unborn fetus. There is no known safe level of exposure to alcohol and even small amounts have the potential to do harm. Alcohol should also be avoided during breastfeeding as it can be transferred to the baby through breast milk. Caffeine consumption during pregnancy is a bit controversial. Many doctors believe that low levels of caffeine consumption during pregnancy are harmless. Some studies have shown that intake of high levels of caffeine can increase the risk of miscarriage and premature birth. For this reason, it’s best to completely avoid caffeine during pregnancy. Try substituting pasteurized milk or fresh fruit juice in place of your cup of morning coffee until after the baby is born. Remember that caffeine is found not only in coffee but also in teas, chocolate, and some over the counter medications. By making the right food choices and understanding what foods to avoid during pregnancy you can significantly increase your chances of having a happy, healthy newborn baby.